As we age, our skin loses its natural elasticity and form. 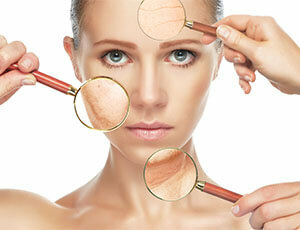 Where once there was firm, tight skin, we now see lines, wrinkles and sagging skin folds. And though smile lines certainly show something of who we are, many of us would prefer to see that vibrant, youthful reflection looking back at us once again. With a cosmetic facelift (also known as Rhytidectomy), this is now possible. Wentworth Clinic offers multiple facelift procedures at both our London and Bournemouth based clinics. And whilst each procedure would be considered a surgical facelift, they vary in degree and complexity. A separate lateral brow lift also would improve malar prominence and correct “crows feet” lines. Traditionally facelifts have always been performed under a general anaesthetic but with the expertise of our gifted plastic surgeon, Professor Ilankovan, we are now able to offer many facelift surgeries under local anaesthetic. Though there is much that can be achieved with facelift surgery, it is important to understand the limitations of the process. A facelift will have no effect on fine lines and creases around your lips and eyes, nor to the quality and condition of your skin itself – the procedure focuses purely on the mid-face area. So in addition to a facelift, you may wish to consider other non-surgical facial treatments at Wentworth Clinic, such as chemical peels, laser resurfacing and hydrodermabrasion, which provide the results you desire. Further details about our Facelift surgery, as well as pre- and post-treatment care, is available below. And if you would like to arrange a private consultation with facelift surgeon, Mr Ilankovan, please contact us via our contact form or by calling our London or Bournemouth Clinic. Your plastic surgeon will discuss your goals for the surgery. Stop the contraceptive pill six weeks prior to surgery if possible and ensure you take other precautions. Make up can be applied after the fifth day. Makeup can be applied after 5 days. Facelift surgery at Wentworth Clinic starts at £4,000, however, we suggest you contact our cosmetic surgeon to fully discuss your requirements and we will then be able to provide you with a more specific quote. We perform our facelift procedures at both of our state of the art London and Bournemouth clinics, so take your pick, and pick up the phone to find out more about our facial plastic surgery procedures today.